"So many tears i cried. So many times my heart died. 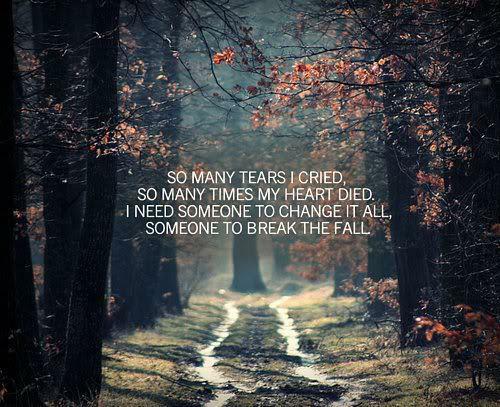 I need someone to change it all someone to break the fall..."